I come from Lucca (Tuscany). 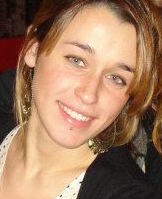 When I was 19 I started studying biological and molecular sciences at the University of Pisa. I graduated in molecular and cellular biology (Master’s degree) in 2014 and I started my Ph.D. in biophysical sciences at SNS immediately after. My research project aims to developing a nanovector-mediated enzyme replacement therapy for Globoid Cell Leukodystrophy (GLD), a neurodegenerative rare disease caused by deficiency of the lysosomal enzyme galactocerebrosidase (GALC). 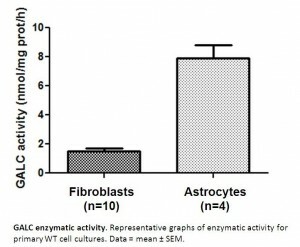 GALC loss of function causes increased levels of the cytotoxic D-galactosylsphingosine (psychosine, PSY) in the neural tissues, leading to demyelination. 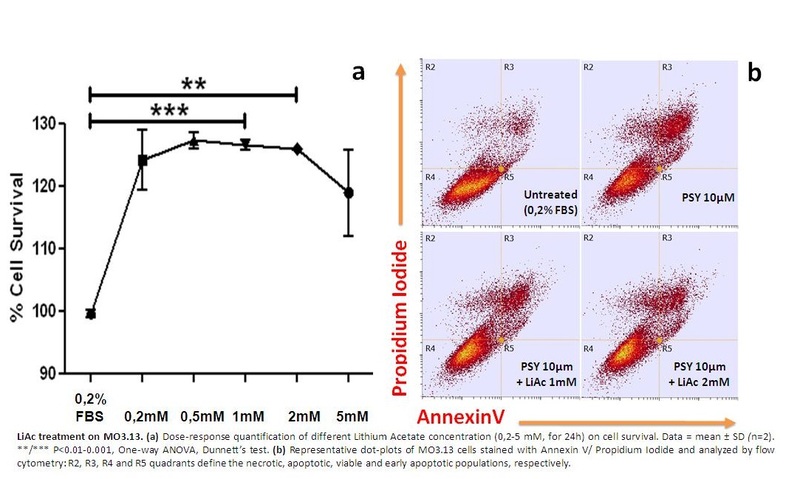 The idea is to construct a nanoparticles/aptamer nanovector to improve GALC delivery into lysosomes and correct the pathological phenotype of GLD. 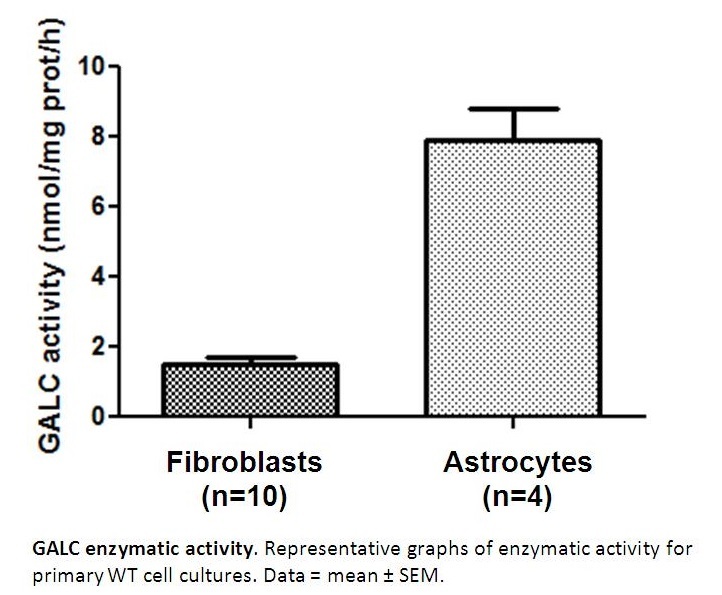 In order to help in developing the ERT, I am also performing a study of GALC activity and PSY accumulation in fibroblasts and different central and peripheral nervous system cell types and tissues. 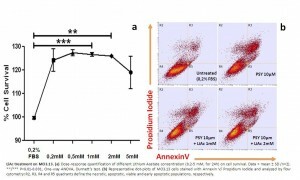 Finally, I am testing possible effect of autophagy modulators to rescue the viability of PSY-treated cells. 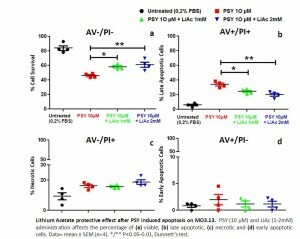 I found that Lithium decreases the PSY-induced apoptosis and increases cell viability in MO3.13 oligodendrocytes. 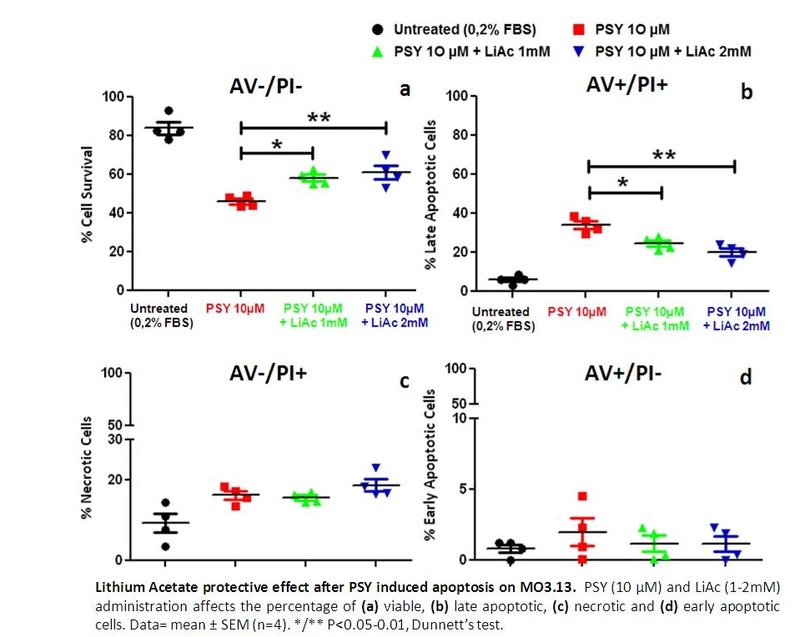 I propose that this protective effect of Lithium is likely due to the stimulation of the autophagy pathway, which in turn leads to PSY clearance from cells.